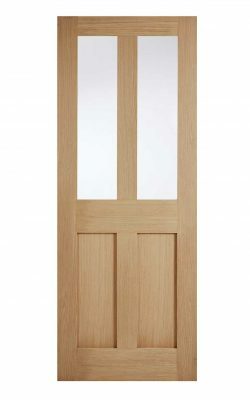 FD30 Fire door and glazed variants. Oak London. ‘Shaker’ styled, four panels in the Victorian layout are? sleek and uncomplicated, perfect for adding the finishing touch to any of your rooms. Particularly suited to a modern d?cor in a period home. For all locations; dining room, living room, kitchen, bedrooms and bathrooms. Again, the classic, simple design offers a rich style to both period and contemporary designer interiors. With a distinctive Victorian look, in a pared down Shaker style. So the edge down into each panel is squared off without any mouldings. 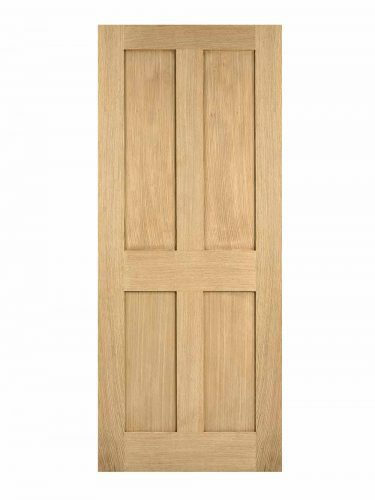 ?Engineered doors are very stable and are designed to limit warping, splitting and small changes in size with the seasons.